Joudelie is deaf and blind and depends on a wheelchair to move around. I believe she will feel free if she can move faster with the sun and wind in her hair. 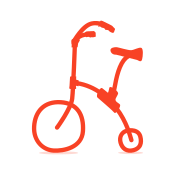 There is very little we can do for Joudelie's mobility so getting out as a family to ride bikes would be amazing! 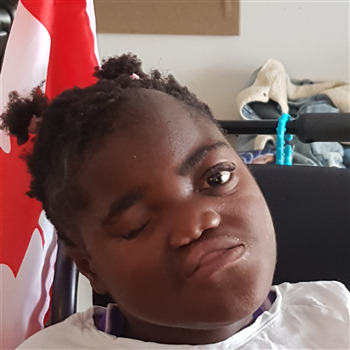 Joudelie started life in a way that no child deserves but she has been given the change to grow and thrive in Canada with a family that loves her totally. With many medical appointments and painful surgeries, Joudelie deserves whatever joy she can grab! Please help us get a bike for Joudelie! Joudelie is deaf and bling and depends on a wheelchair to move around. I believe she will feel free if she can move faster with the sun and wind in her hair. There is very little we can do for Joudelies mobility so getting out as a family to ride bikes would be amazing! i will choose to believe!